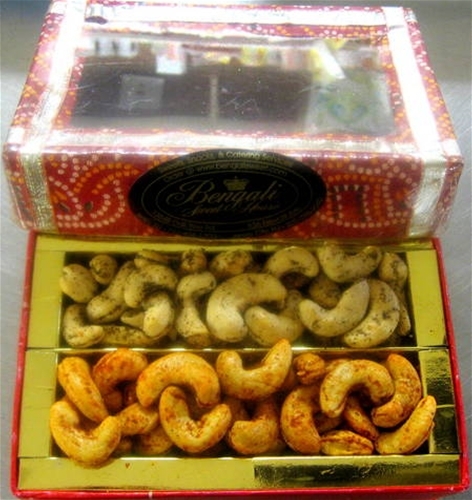 Classical Bandhani assorted dry fruits Gift Box. Always Fresh, Never Frozen Indian Masala Nuts made in the traditional way in USA and shipped directly from our Kitchen. A personal message can be included with each gift box if desired.